How I Gained It: I was one of those unfortunate people for whom puberty hit young and hit hard. When everyone else was still playing with Barbies and watching “My Little Pony,” I was learning about deodorant and training bras. As a result of my rapid maturation, many of my classmates teased me throughout elementary and middle school. To cope with the bullying, I turned to food. I’d get home before my parents and make myself a giant bowl of instant mashed potatoes or a box of rice pilaf and scarf it down, only to eat a second dinner a few hours later with my family. The weight piled on, with the scale bobbing over 200 by the middle of high school. 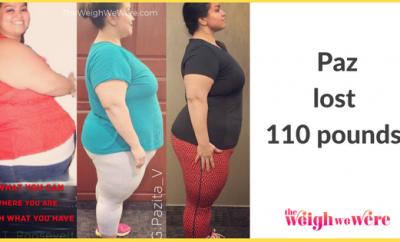 Breaking Point: Like most people that have struggled with weight for most of my life, I would have to honestly admit that I’ve had several “breaking points” over the years. The biggest one, though, would have to be when a classmate snapped a picture of me as I modeled my overfilled backpack in the school’s courtyard (below). For years, I had avoided the scale — and cameras. I had no idea how large I had truly become. I didn’t recognize myself and it scared me. 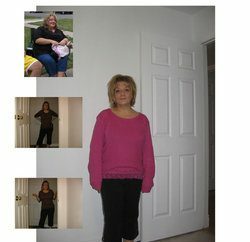 How I Lost It: I wish I could say I immediately turned to diet and exercise when I hit my first breaking point, but I certainly didn’t. At 16, I wasn’t sure what the right steps were. 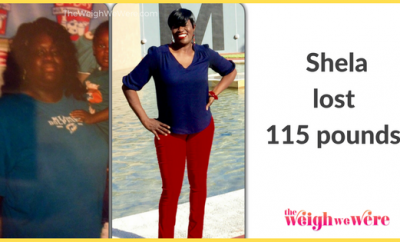 Initially, I tried skipping meals — all that did was spawn a binge at the end of the day. I tried buying diet pills, but quickly learned you have to be an adult to purchase them. Fortunately for me, a mix-up in my schedule resulted in first period NJROTC — Navy Junior Reserves Officer Training Corps. I started every day of my senior year doing calisthenics, running and learning to work as a team. When 20 students depend on you to keep doing your pushups to avoid punishment, it’s amazing how much willpower you can find buried inside you. 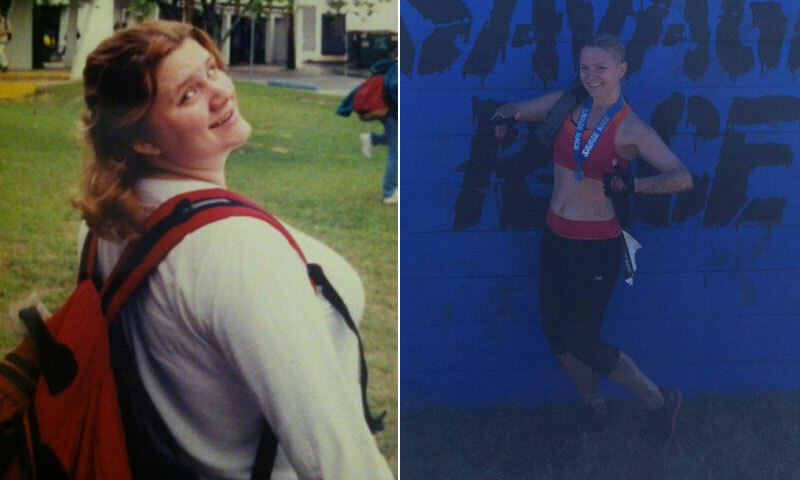 By the end of high school, I had gone down from my max of 214 pounds, wearing a size-22 pant, to 170 pounds and a size 16/18. Once I got out of high school and entered college, I really kicked into gear. Being surrounded by healthy, fit and energetic students motivated me to take control of my body and my lifestyle. I had a job as a waitress, so I was constantly on my feet, walking upwards of eight miles on my standard double shifts. A tight budget didn’t afford me many “luxury” food items, so my grocery shopping was limited to the bare necessities: fresh and frozen vegetables, whatever lean meats were on sale and the occasional package of fresh berries for dessert. Running and rock-climbing at the university’s gym restructured my whole body, and the scale dropping down to 134.4 at my lowest. The big thing I learned about nutrition is that it’s not something you can pick up and put down whenever you’d like. 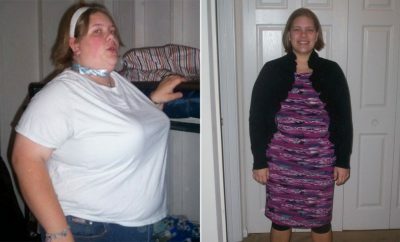 When I dieted, I would lose weight quickly — only to put it back on the second I reverted back to my original lifestyle. To stay on track and keep accountable with my fitness and nutrition, I maintain a blog, The Memoirs of a Yo-Yo Dieter. Once you’ve been heavy, your body is always eager to put the weight back on so you have to be extra vigilant with your eating habits to avoid falling back into old habits — and old pant sizes.